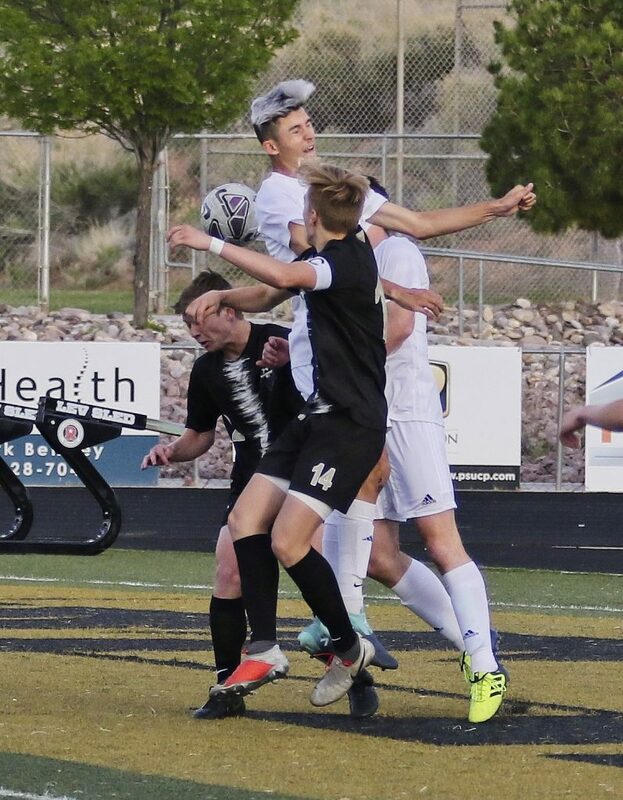 ST. GEORGE — Desert Hills’ 3-0 home win over Dixie on Tuesday leaves both teams tied atop the Region 9 boys soccer standings with 5-1 records. They are joined by Snow Canyon, which is also 5-1 after defeating Cedar 2-1 on Tuesday. 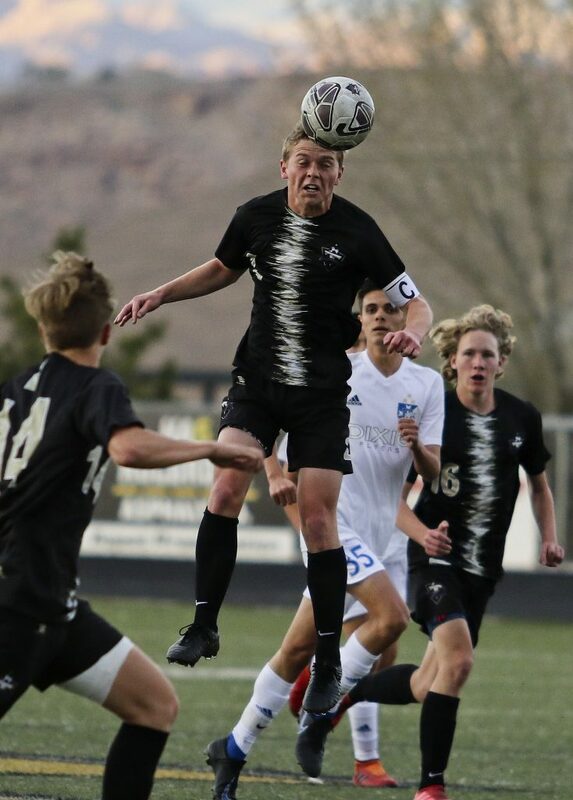 At Desert Hills, the Thunder handed the Flyers their first region loss with a 3-0 shutout. 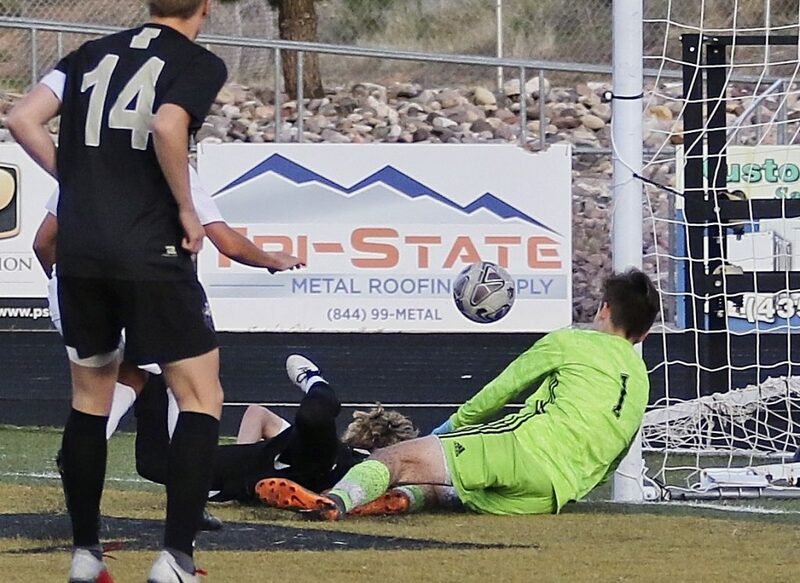 Desert Hills scored twice in the first half and added one goal in the second half. 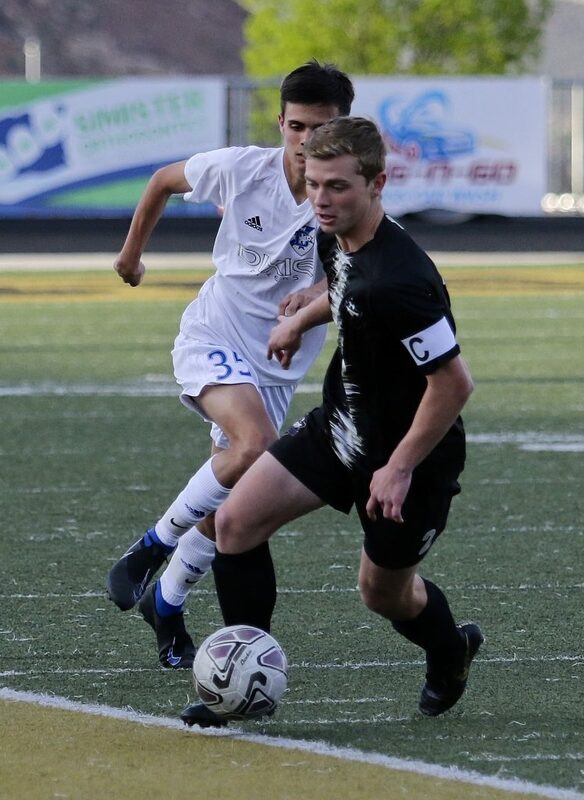 The three Thunder players who scored were Ben Simister, Sawyer Heaton and Will Schroeder, with Preston Hodges picking up the shutout at goalkeeper. 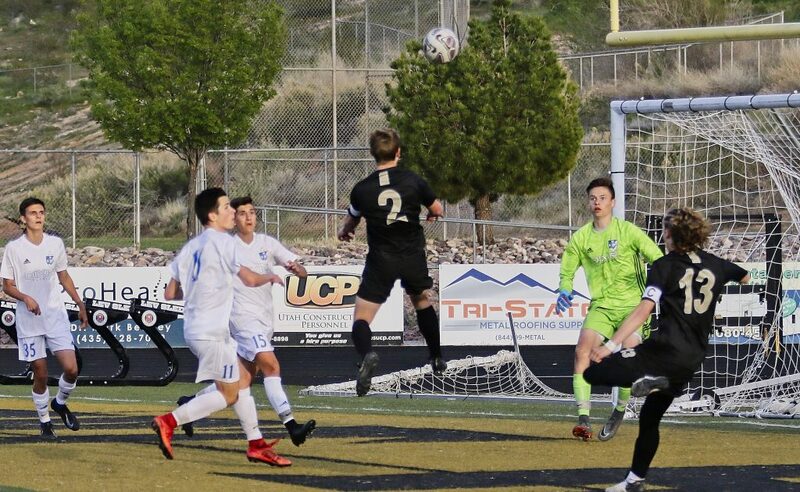 At Pine View, the Canyon View Falcons got their second region win, thanks to two goals from Isaac Belknap and one from Hunter Talbot. The Falcons led 2-1 at halftime and added an insurance goal in the second half. 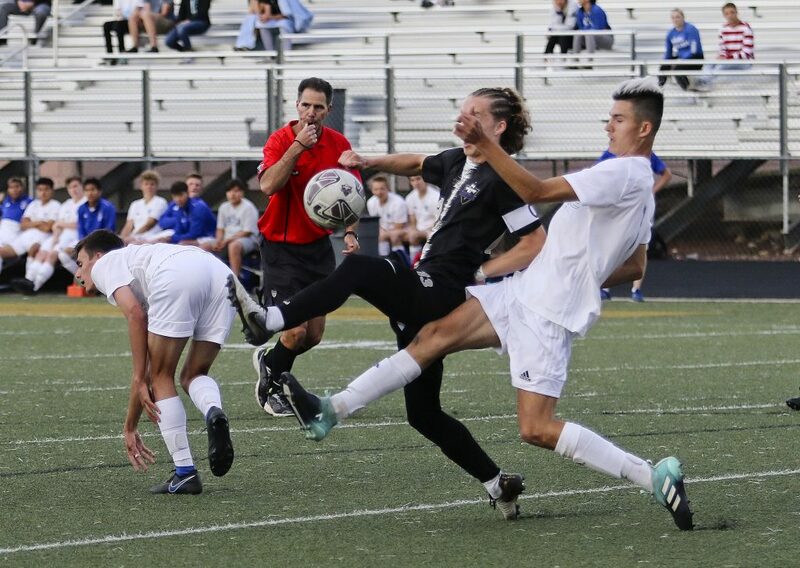 Gary Galvan scored Pine View’s lone goal. 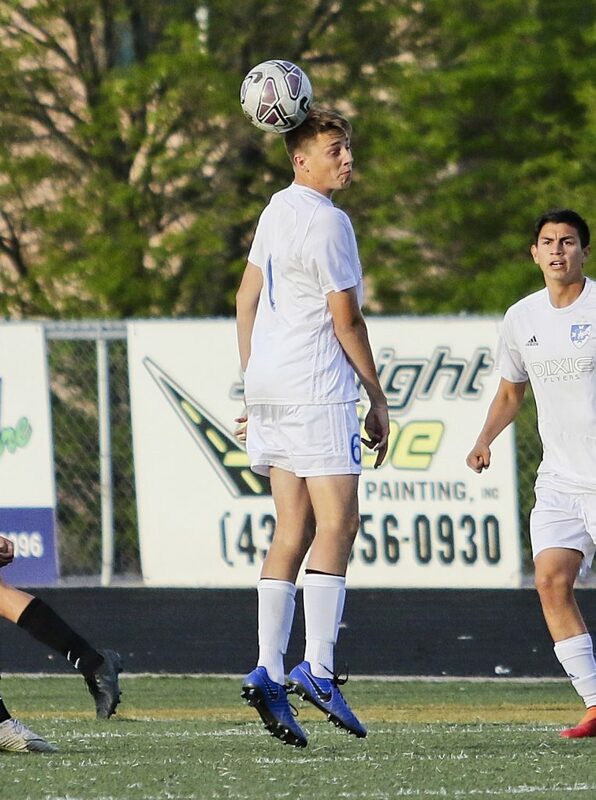 At Snow Canyon, the Warriors outdueled Cedar 2-1. 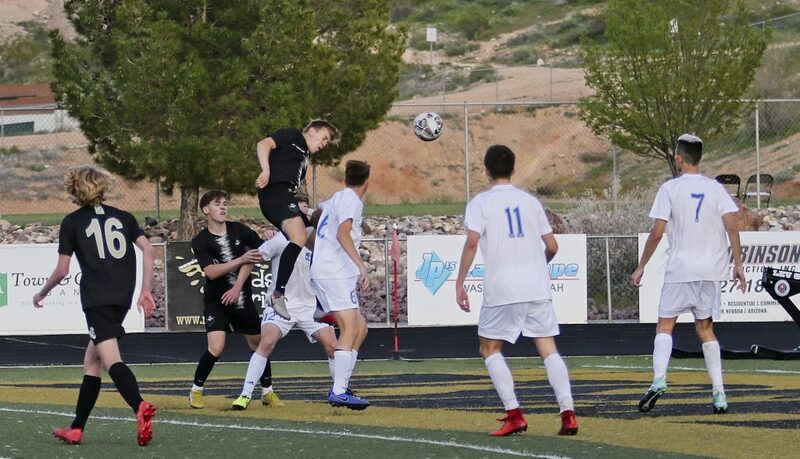 Cole Warner scored Snow Canyon’s first goal off an assist from Jose Molino, giving the Warriors a 1-0 lead at halftime. 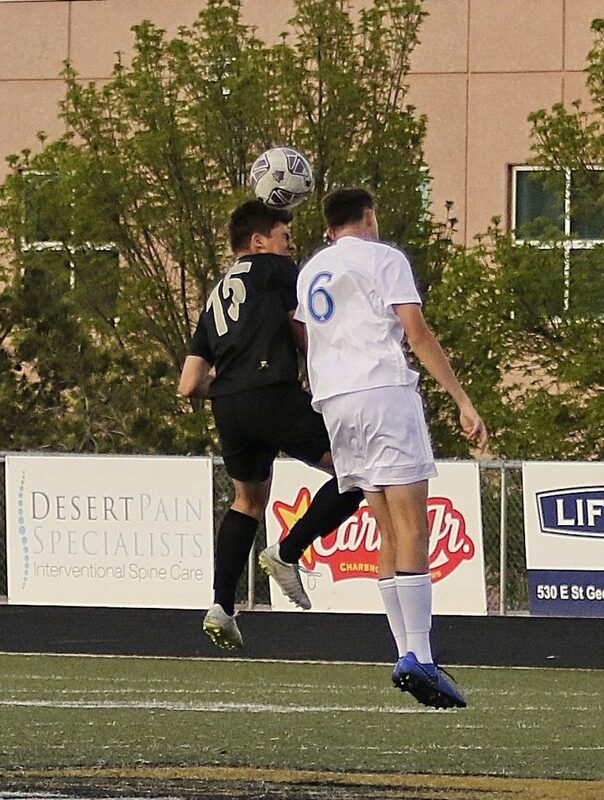 In the second half, Cedar’s Tito Garcia and Snow Canyon’s Luis Gamez each scored a goal, leaving the Warriors with the narrow win. Snow Canyon improved to 5-1 in region play and is now tied for first place in the standings, along with both Desert Hills and Dixie. 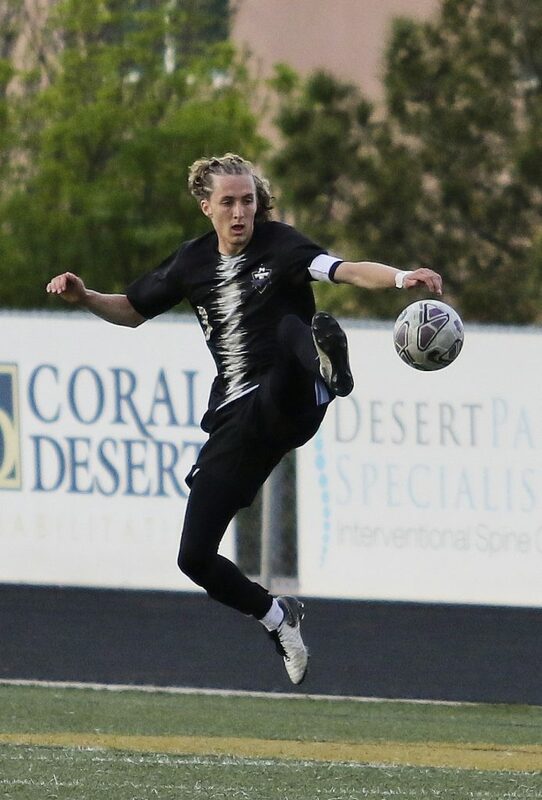 Friday’s schedule is as follows: Cedar plays at Pine View, Dixie is at Snow Canyon and Hurricane is at Desert Hills, with all three games scheduled to start at 7 p.m. Canyon View has a bye on Friday.